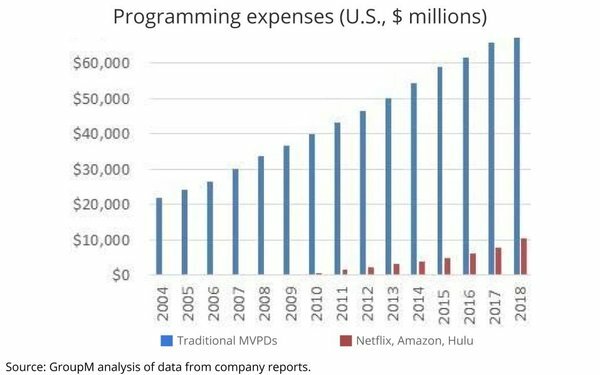 Traditional media companies will need to spend much more on programming in the coming years to compete with growing streaming competitors such as Netflix, Amazon, and Hulu. All affect profit margins, according to one industry analyst. Brian Wieser, global president of business intelligence for big media agency group GroupM, says that trend is already happening. Traditional major media companies' dividends and stock buybacks as a percent of cash from operations have dropped from a high of 130% in 2014 to 50% in 2018. An estimated $70 billion is spent on total entertainment programming, of which around 15% ($10 billion) comes from Netflix, Amazon, and Hulu. 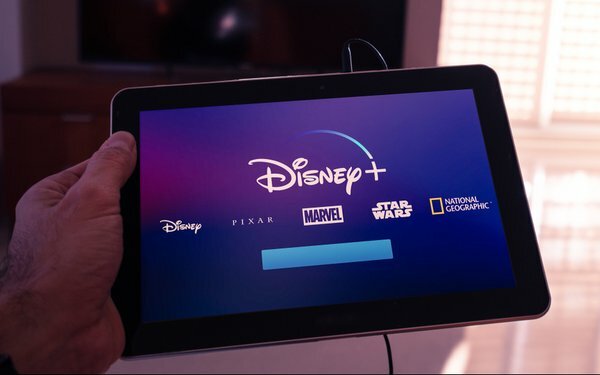 “Disney’s media networks spent nearly $14 billion or 55% of revenue on programming during its most recent fiscal year, and this figure was elevated by expensive sports rights. By contrast, Netflix deployed $13 billion around the world in actual cash on streaming content during 2018. This equates to 83% of revenue,” he says. Right now, Wieser adds, premium, ad-free and ad-limited SVOD services account for just under 10% of TV consumption among all audiences. Higher spending on streaming services -- which include non-ad-supported platforms -- will mean more audiences viewing will follow. Although ad-supported TV is likely to remain as a dominant environment for most brand-focused advertisers for some time, he says advertisers will need to make adjustments. “Advertisers will need to enhance their efforts with branded entertainment, brand integration or other content-related initiatives on their own, and explore other alternative media and marketing strategies,” he notes.